"Great Football Dramas — No. 10. 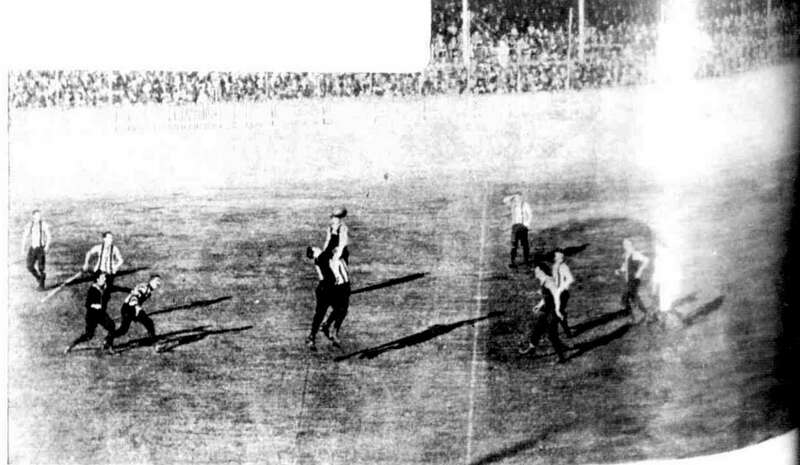 Sporting Globe 29 June 1935: p.8 (Edition2). Thirty-two years ago Sydney saw its first big Australian rules football match, between two crack Victorian teams. 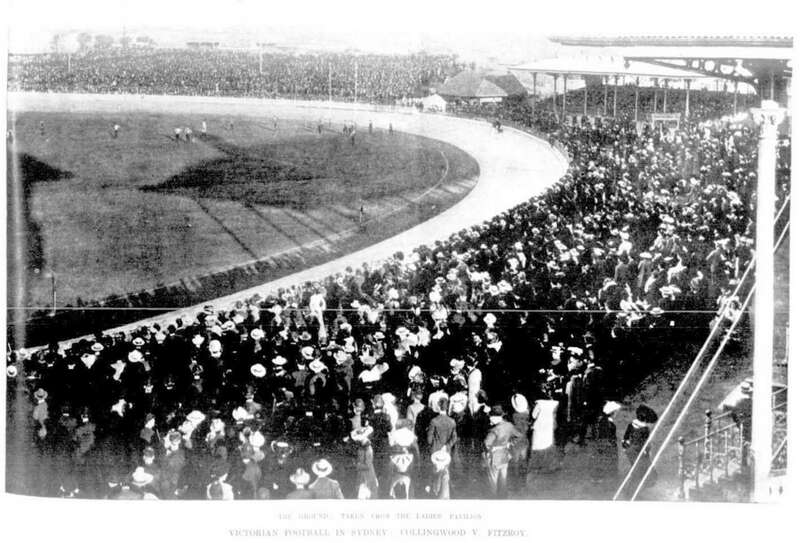 On Saturday, May 23, 1903, Collingwood and Fitzroy staged a fast, spectacular and thrilling contest on the Sydney Cricket Ground. 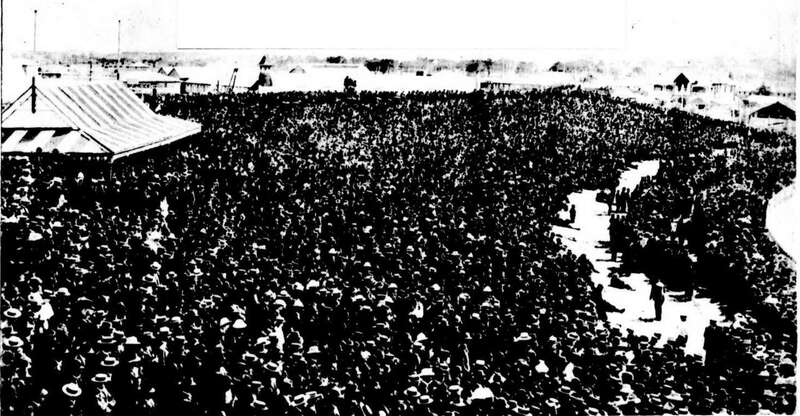 To the crowd of 20,000 the football was a revelation. The speed . . . the passing . . . the teamwork . . . the kicking . . . the marking . . . the ever-changing kaleidoscope of color – all these combined in an inspiring spectacle that roused spectators to enthusiasm. Soon the atmosphere and barracking were as tense as at a big Rugby game or a Test cricket match between England and Australia. The result of the match counted in the Victorian League competition. That added zest and fire. 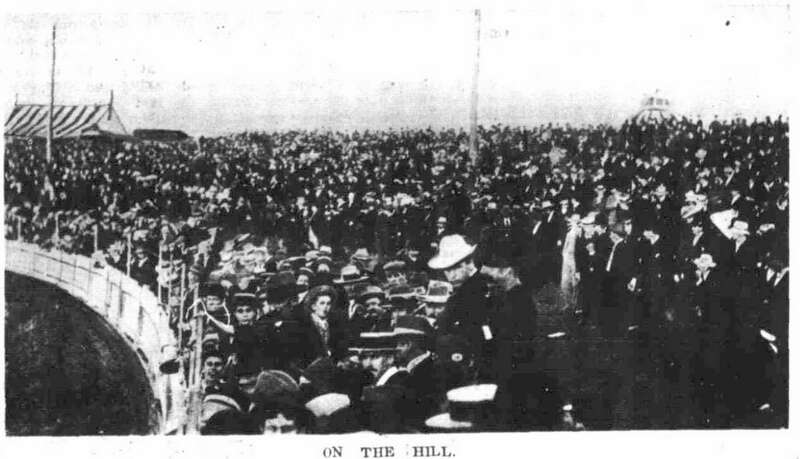 In the crowd were many distinguished visitors, among them the Governor-General, the State Governor and Sir George Reid, M.H.R. While playing hard and well, Collingwood failed to reproduce their dazzling premiership form of that and the previous season. Their now famous system – then being perfected – did not function with its usual smoothness. After their glorious victory, Fitzroy’s dressing-room shook to an indescribable din of unbridled rejoicing. Played in beautiful weather, the match raised £600 for propaganda purposes for the newly-formed New South Wales Australian Rules Football League. 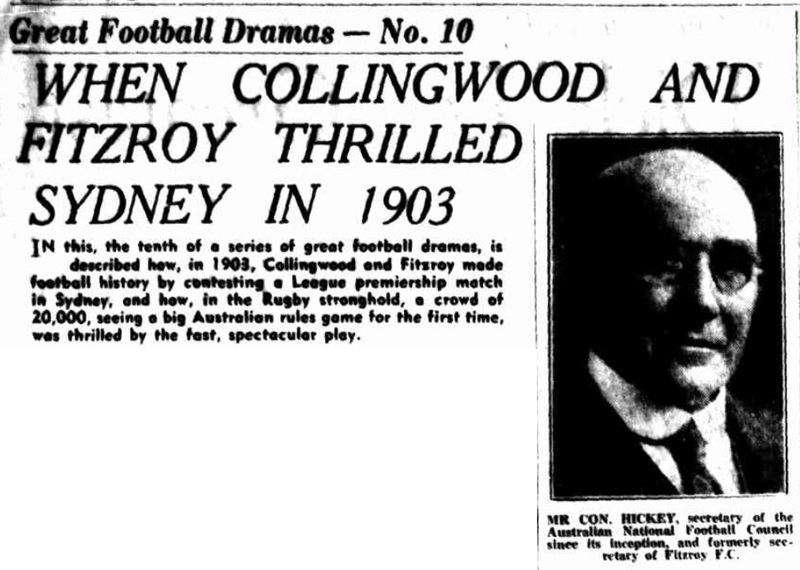 Neither Fitzroy, Collingwood, nor the Victorian Football League took a penny for expenses from gate receipts. Both clubs defrayed their own expenses, though each later received £50 extra from the League dividend that season. Players were not paid in those days. A much-appreciated innovation at the Sydney match was the numbering of players on their backs, as now. Cards issued to spectators supplied the key. The field umpire was the great Ivo Crapp, who received a fee of £10; and the goal umpires Lucas and Clapham, who were paid £8/8 each. It was by far the biggest move yet by Victoria to popularise the code in another State. 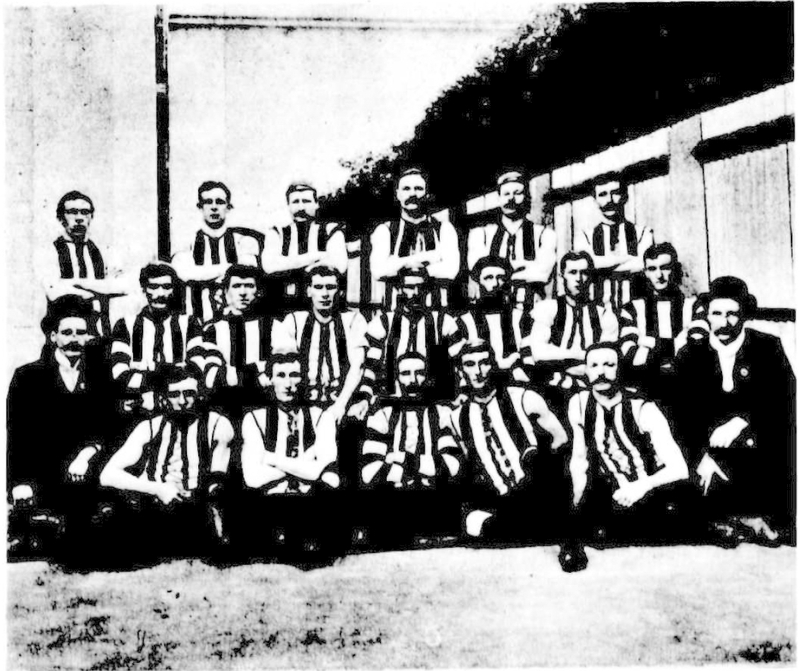 Collingwood and Fitzroy were missionaries in a rabid Rugby stronghold. Sydney was resolutely invaded by the Australian rules pilgrimage. Both teams arrived some days before the match. 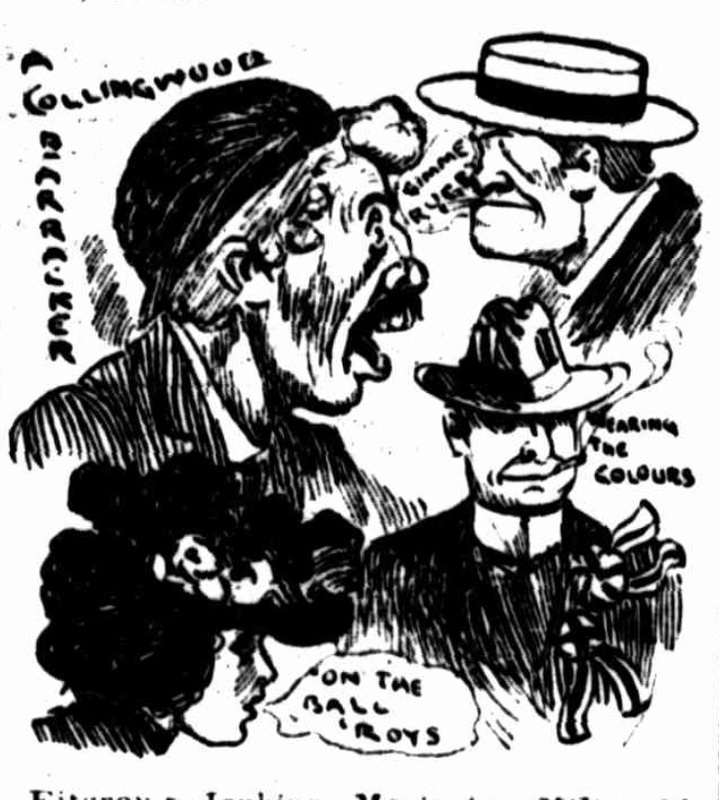 Collingwood players were conspicuous for their straw boater hats, with a Magpie badge on the front. For some years they always wore these summery-looking hats on tour. A large contingent of Victorian football personalities also went over. Among them were Messrs. H. C. A. Harrison, “Father of the Australian Game”; E. L. Wilson, secretary of V.F.L. ; B. Gleeson, treasurer of V.F.L. ; Con. 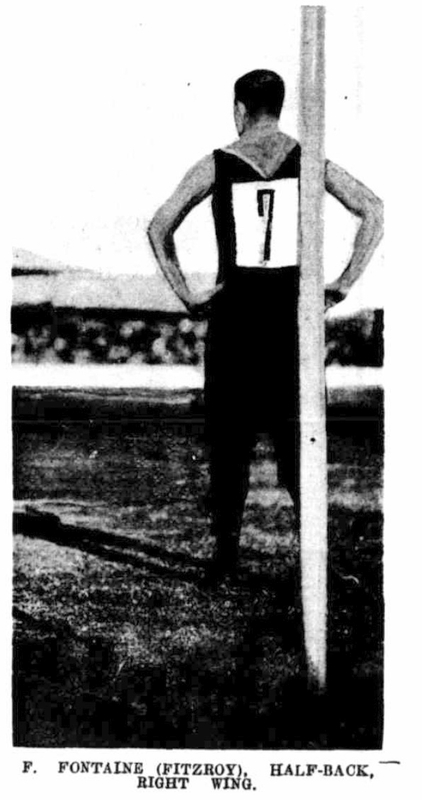 Hickey, secretary of Fitzroy F.C. 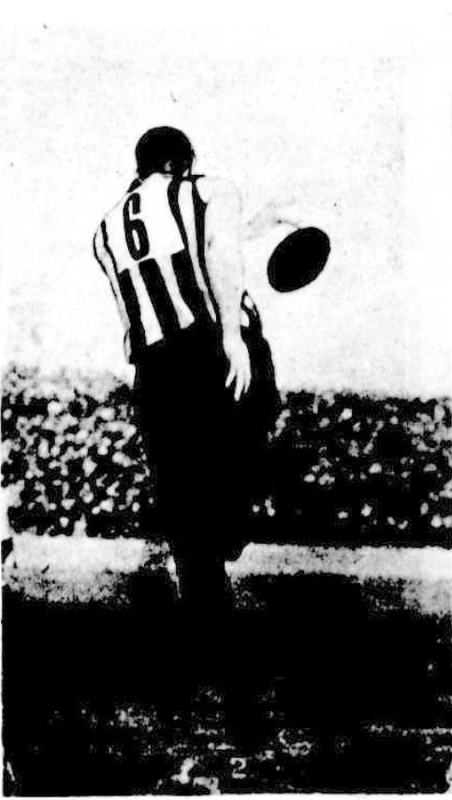 ; E. W. Copeland, secretary of Collingwood F.C. ; and Tom Kelynack, “Kickero” of The Herald. 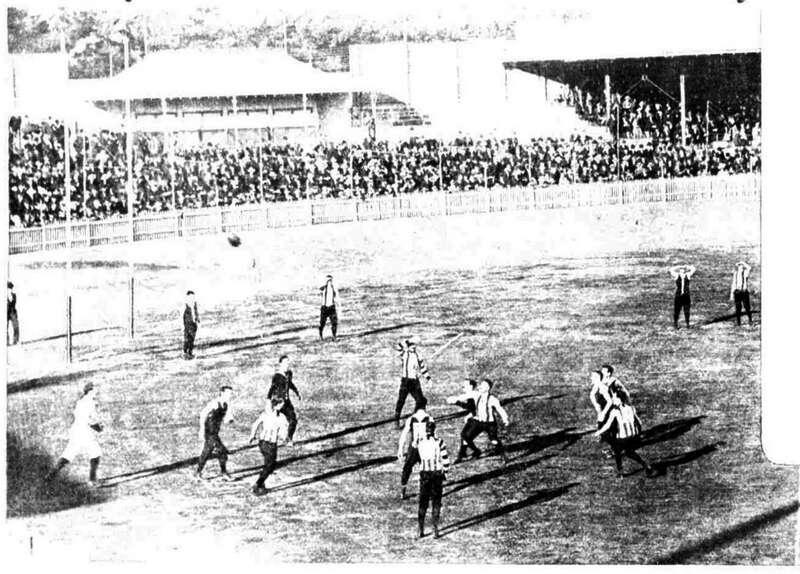 The MATCH will be a COMPETITION ONE for the Victorian Premiership (at present held by Collingwood), and if played in Melbourne, would probably attract a crowd of from 20,000 to 30,000 spectators. The public may, therefore, be assured of witnessing a match being contested by Experts. The rival team’s colors were freely disported in Sydney. On the day of play a black and white pennant fluttered from the flagpole of the Grand Central Hotel, where the Collingwood team were staying. Both teams drove to the ground in horse drags with colors flying. As the players bounded on to the arena, their magnificent physique impressed the crowd. There was a murmur of admiration. The comparative smallness of the playing arena tended to congest play. At the start, players were over-eager, and there was a fumbling; but they soon settled down. 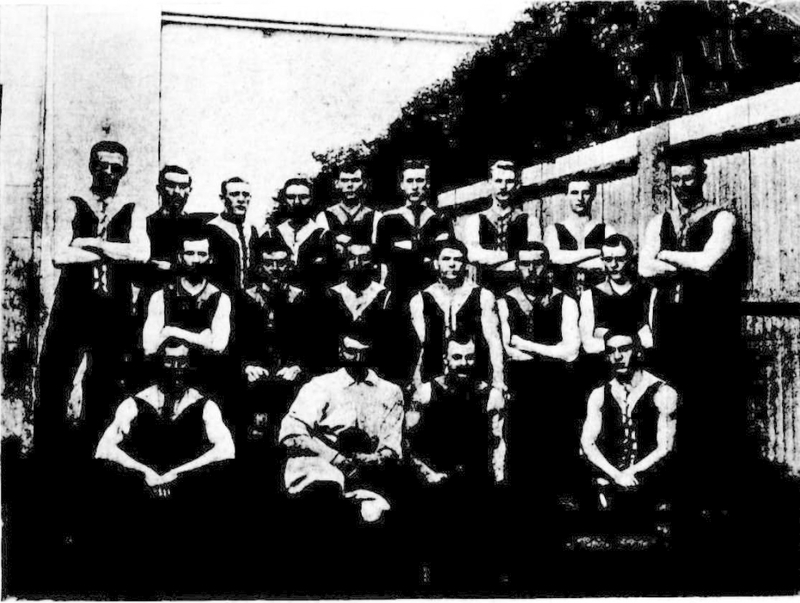 The result of the match left Fitzroy undefeated, alone at the head of the League list, with four wins; and Collingwood fourth, with two wins and two defeats. The mighty Collingwood were mastered by a faster and more brilliant combination. 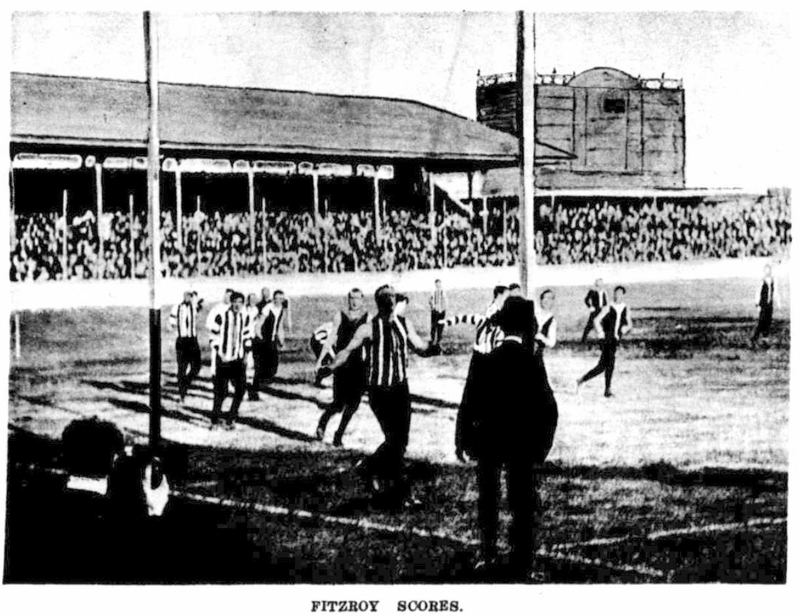 It was a great triumph for Fitzroy, because Collingwood’s 1902 and 1903 sides were probably the most accomplished ever to wear their colors, even to this day. Crapp, as umpire, was, as one critic said, “a marvel of agility and precision.” As the teams were leaving the field after an unforgettable display, the ground rang with cheer after cheer. “A great game; it’s superior to Rugby,” was Sir George Reid’s tribute. In Fitzroy’s dressing-room, there was much cheering, hand-shaking, and speech-making. Tom Banks, Con Hickey, Alex Sloan, Joe Kerrigan, Bill Cleary and Ted Melling were jumping about with sheer joy. When somebody called for a cheer for Con. Hickey there was such a roof-lifting yell that he was so affected by the compliment that he found difficulty in responding. Then one of the strangest things ever seen in a football dressing-room took place. Two big, strong men cried. But they were tears of joy. 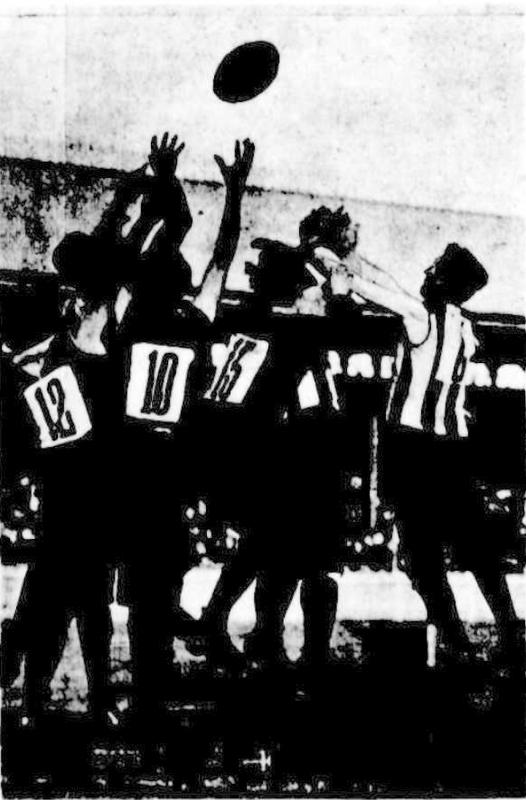 Gerald Brosnan, the Fitzroy skipper, broke the sudden and uncanny hush by springing on to the top of a locker, and congratulating his team. Hospitality was lavished on both teams. Rather wisely, it might appear, a visit to Tooth’s brewery – one of the big show places of Sydney – was left until the Monday after the game! 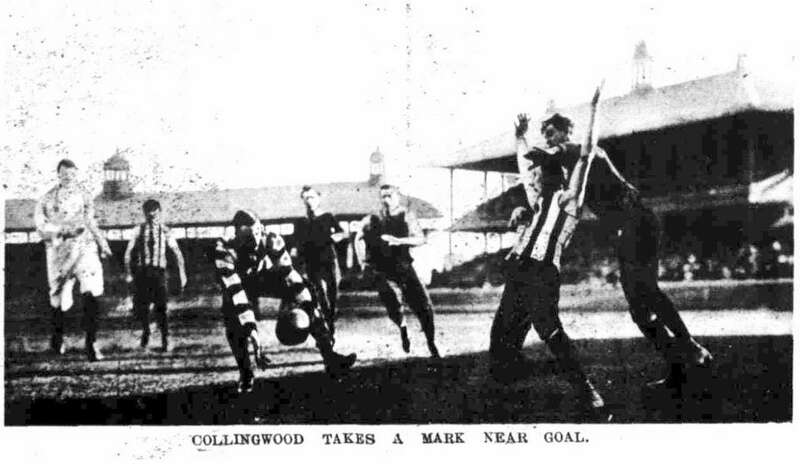 That season Collingwood defeated Fitzroy by a kick in the final for the premiership. Gerald Brosnan had his famous shot for Fitzroy just on final bell. A goal would have given his side the premiership. It was by no means an easy shot. He missed, but got a behind. 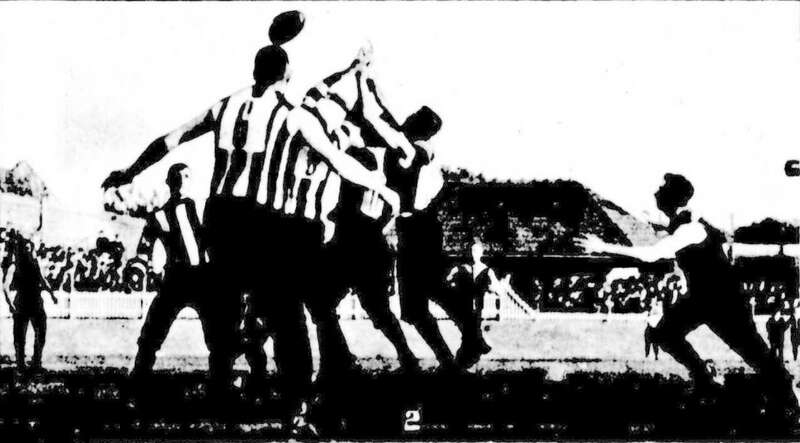 Collingwood won by 2 points – 4.7 (31) to 3.11 (29). 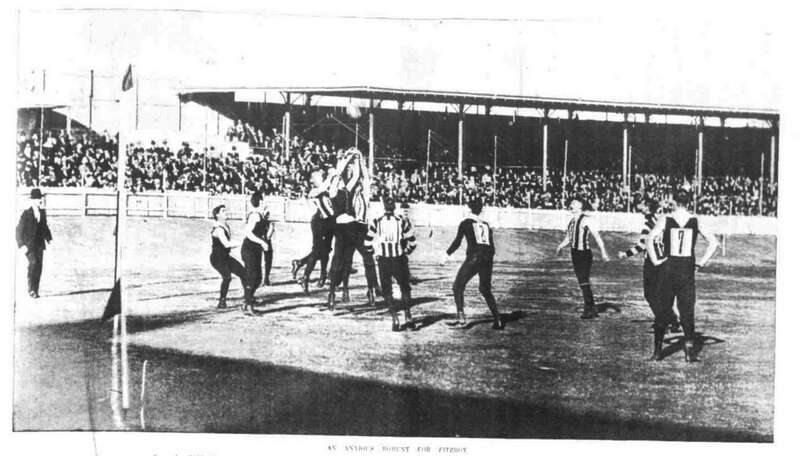 Since that historic encounter of 1903, Victorian club and combined teams have frequently visited Sydney, either for exhibition games or carnivals, but never to stage another club match that counted for the League premiership. When Collingwood and South Melbourne meet in Brisbane and Sydney shortly the games will not count in the League competition. They will be merely exhibition affairs, devoid of premiership points.